If the name of this pokie seems familiar, it’s because Microgaming have lifted it from Phileas Fogg, the star of Jules Verne’s’ Around The World In 80 Days, a famous book where the hero travels the globe to win a bet. The hero of this 3-reel, 5 payline pokie, subtitled International Globe Trotter, is a smartly dressed pig who oversees the action including jackpot wins and a bonus game which has multiple winning features. An unusual format sees players having the option to enter the bonus round after any winning spin, while a 2000x jackpot and fun style are some added attractions to this pig in a pokie game. The main screen is a pretty complicated looking affair, with a lot packed on to it. We have our gentleman pig dressed in the finest Victorian style and standing next to Big Ben in London, while dotted around the game we see a variety of destinations, such as the Taj Mahal, Pyramids, Statue of Liberty, Colosseum and a Japanese palace. Overlaying these images is some game information, such as nudge options and a payout schedule that lists how much each winning combination is worth. Oh, and buried somewhere in there are the 3 reels framed in an elaborate scroll design and having payline indicators to show where each of the 5 lines run to and from. 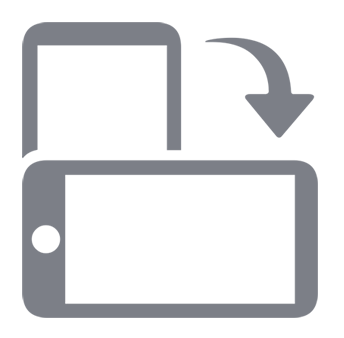 Players are able to wager from 0.10 to 10.00 on a spin of the reels, which is a fairly low maximum, while they can also activate any number of the lines, although the more in play, the more frequent the winning spins will be. Landing a line of 3 cherry symbols across any active line is worth 1x the bet, while the lemons pay 2x and oranges are at 4x. Other traditional Poker machine symbols are the Bar which is worth 6x and the red 7’s that pay 8x when they fill a line. The other symbols are all related to the game and add some variety to what we see on the reels, not to mention some cash to the players when they land in the right places. There’s a pocket watch that’s worth 10x the stake, some luggage that pays 20x, a globe that is valued at 50x and land the hot air balloon across a line to win 250x. The jackpot symbol is Phileas Hog himself, who pays out 2000x the bet when he fills a line. After any winning spin, players have a choice to either collect the win or gamble to double the prize just won. If they choose to gamble, then win or lose, the bonus game commences, where players will see a wheel of fortune with a variety of features awarded to them when it stops spinning. Many of these have game-related names, so they could win the Globetrotter, where anytime the symbol of a mummy appears on the reels they win a prize, or there’s the Truffle Shuffle, where they need to click on multiplier values. Other features include Round The World, which is a skill stop game where players need to click at the right time to win the biggest bonuses, and Greedy Pig, in which different winning options are presented and players just need to pick the one they want. In the Makin’ Bacon round, players are given a guaranteed winning spin, which is probably the simplest bonus of the lot, but whichever one is spun up, the odds of getting a prize are pretty good. Players need to look out for the wheel coming to rest on a mystery section however, as these can be losers and send them straight back to the main game. Nudges and Holds are also available, and these can be used to get extra winning combinations, with players able to move reels up and down a bit, or keep them in position while the others spin. Nudges can also be gambled, repeated or banked until the next spin. A Pig’s Ear or Snout to Complain About? This pokie has more bonus features than just about any on the market today. The fact that they can be played after every winning spin, on top of the payouts from landing the right symbols is pretty amazing, but obviously, Microgaming still have to keep an edge, so those wins can be a little less frequent and not all bonus rounds are guaranteed to pay anything out. 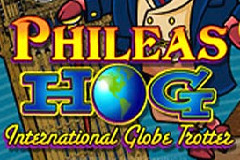 But anyone looking for an action-packed game that’s presented in a fun style should definitely try to bring home the bacon by spinning the reels of Phileas Hog.